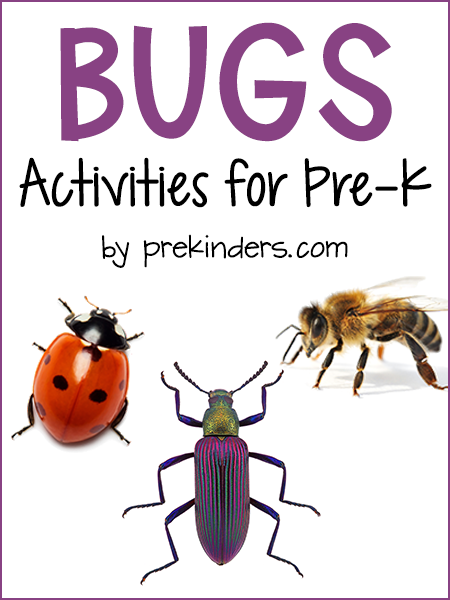 Check here for a complete list of Books about Bugs! Children paint an egg carton (cut so that each child had 3 egg cups for the 3 body parts) with their choice of either red, brown, or black paint. We add wiggle eyes and pipe cleaner pieces for the antennae and legs. We play a game with this song by passing a beanbag (the “bee”) like a hot potato around the circle of children while the music played. Occasionally, I stop the music, which means the person with the beanbag is “stung” and moves to the middle of the circle. We talk about the life cycle of a butterfly, and make a cocoon with a toilet paper tube and white yarn. We decorate a clothespin with pom poms to look like a caterpillar and put it inside the cocoon. Another day, we paint a coffee filter with watercolor paints. When it is time for the butterfly to come out of the cocoon, the butterfly “wings” are then clipped in the clothespin caterpillar. To make these, I traced a butterfly outline onto old file folders, cut them out, and punched holes around the edge. The children use yarn to lace through the holes, and decorate them with markers. The Very Hungry Caterpillar foods are made from construction paper, and are strung on a green ribbon “caterpillar”. The children try to sequence the story from memory. Read more about this idea at Eric Carle’s Caterpillar Exchange. We use butterfly counters to make color patterns. The children also make their own pattern with paper butterfly cutouts (I used the small craft punchers to cut the butterflies). We place strips of green construction paper (for grass) in some small bug boxes (available at the Dollar Tree). Children make model bugs with play dough to put in the boxes. We make bugs using half of a cardboard egg carton, paint, wiggle eyes, pom-pom balls, and other materials. This clothespin art activity goes with the book, The Very Clumsy Click Beetle, by Eric Carle. 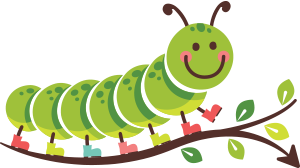 You can read about this activity at the Eric Carle Caterpillar Exchange. This is an activity that goes with any theme. Choose a book that goes with the theme, and have the children retell the story. Children are given a simple bug outline. This is not a color sheet, the page only has 3 circles. They work in pairs to create bugs that are the same (“bug twins”). One child has the role of communicator and one child had the role of listener. The communicator adds features to the bug by drawing & coloring, and communicates each step to a partner. The partner listens and adds the same features to the bug without seeing the other child’s paper. This project helps with communication skills, listening, following directions, and cooperation. As gross as it sounds, children are fascinated by this game. Each child has a handful of 8 plastic flies. They throw them onto the table, and count how many flies are dead (on their backs) and how many flies are alive (on their feet). We use three sizes of craft pom poms (our pretend fuzzy bugs) to sort by size into different sized containers. 4; Those were good, but I want more! We go on a nature walk to search for bugs, and draw observational pictures of bugs we find. Read about and print the Bug Bingo Game here. This book can be printed or projected as a slideshow. 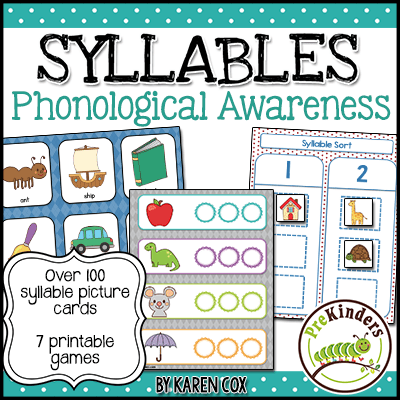 Go to the Printable Books page to download. Look for printable posters of these rhymes on the Nursery Rhymes Page.